You’re so close to finishing your marketing email, but suddenly a brain freeze settles in and you can’t think of a dang thing to write for the subject line! You wonder if you’ll ever hit the Send button. That’s why we’ve come up with these surefire techniques to overcome this particular writer’s block. Before you publish something, you want a second pair of eyes on your work, right? Subject lines require the same treatment. Sit down with your favorite beverage of choice (did someone say Subject Line Sangria?) and an employee, co-worker, or even your spouse and throw around ideas. You’ll toss those ideas back and forth until, eventually, the right one will stand out. A lot of people sign up for marketing emails hoping to obtain valuable information from the sender. That’s you! Use your expertise and entertain them with a funny anecdote or inform them of something they are not likely to be aware of. You can also warn them about something that your organization can prevent. For example, a veterinary clinic might warn readers of the dangers of ticks and Lyme’s disease in the summer months. Establishing limitations forces brilliance. With subject lines, the most effective ones are those that contain around 4-7 words or 40 characters. And with over half of all emails now opened on a mobile device, you want to be aware of small screens and short attention spans. Most email providers will truncate, or cut off, subject lines with greater than 60 characters. Use fewer words and you’ll come up with something in no time. Alliteration is when the same letter or sound appears at the beginning of consecutive or closely connected words. This technique draws the reader in and can be a fun way to come up with for a creative subject line. Who doesn’t love a clever reference to something everyone knows? Allusions create common ground between you and the reader and make your readers smile. Example: Sweet dreams are made of cheese. If you don’t know this modern term to describe the ‘fear of missing out,’ congrats! We’ve just cured your state of mental or emotional strain caused by feeling left out. This tactic works great for creating urgency around an event, sale, or item. Give it a try! This is certainly one of my favorite techniques to use because it allows you to be as unique as your business is. Every business defines its brand. Your brand voice can come through your emails starting with your subject line. Whether you have a tongue-in-cheek tone or bubbly brand, let it come out through your subject line. Example: We have the hotel no one else can get! This is so easy to use, it’s almost cheating! Asking a question naturally piques interest and gets people to think inwardly for a moment. There are endless ways to use this technique. Just phrase your offer or email theme in the form of a question and you’re golden. Example: Want to put a smile like this on your dog? See what I did there? Rhyming subject lines tend to stick out amongst a sea of subject lines because we’re attracted to rhythmic sounds. Give it a try in your next subject line. You never know, you might be a poet and you didn’t even know it! Example: Splish Splash oh the prices we’ve slashed! Never thought you’d see this word after high school English class, did you? Well, I hope you were paying attention because onomatopoeia is a word that phonetically imitates, resembles, or suggests the source of the sound that it describes. There are so many ways you can use sounds to get someone’s attention, so embrace your inner child and use some onomatopoeia in your next subject line for a playful effect. Many people get hung up on writing the subject line first and take too much time trying to come up with something. Try doing it last instead. Once you’ve written the rest of your email, you’ll have a firm grasp on the theme of your email and therefore a better chance of coming up with something quicker than if you’d tried to write it first. Still looking for ideas for stellar subject lines? Take that subject line from zero to hero! Check out our subject line cheat sheet. 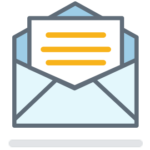 Get opened, get read, and get results with the help of our Standout Subject Lines webinar. Take your subject lines to the next level with these 12 subject line tweaks. Use one of these ideas in your next email! Log in to get started. Not a customer yet? Try us free for 60 days. Sign up for a free trial here.